When it comes to buying a 125cc Motorcycle or 125cc Street Bike to trust with your life; WHO you buy from is just as important as WHAT you’re buying! Please CLICK HERE to understand why. 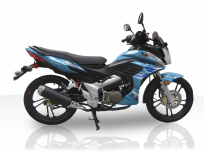 Beat traffic and get to your destination quickly and in style with one of the flashy 125cc motorcycles for sale from Joy Ride Motors. 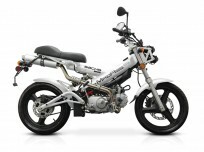 Our inexpensive (but not cheap) 125cc motorcycles for sale are just the thing you need for a non-freeway commute or for riding around town. They conveniently get you everywhere you need to go, including work or school, to the store across town, and to anywhere else you need to go on a daily basis – all on one tank of gas. That’s because all of our 125cc motorcycles get ridiculously good gas mileage. That’s good for the earth and good for your pocketbook too! 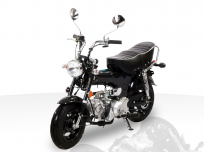 With our 125cc motorcycles you can quickly cut through gridlock and always get a parking space right in front, all while costing you just pennies per mile in driving costs. 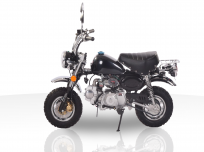 We offer a much lower price on our motorcycles than the MSRP, and additionally, we charge no shipping or handling costs on any orders. That means the price you see on the product page is the exact price you will be paying – no extra charges or fees (it’s just the way we roll). We process your order as fast as we can – from three to five business days after it is placed online – so you can enjoy your new purchase as quickly as possible. 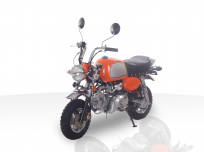 In the selection of 125cc Motorcycles below, you’ll find our most popular sellers from; Roketa Motorcycles, SSR Motorcycles and Ice Bear Motorcycles, which all have a proven track record for safety, quality and performance. We ‘cherry pick’ the very best models from all our vendors’ product lines, which come fully assembled in most cases, for the best price online. 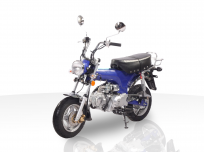 Available in an impressive variety of colors and styles our 125cc motorcycles will get you positive attention and turn heads wherever you go. And we’re sure you’ll get your share of envious looks too! 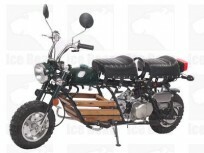 Additionally, we also carry 110cc motorcycles, 150cc motorcycles, 250cc motorcycles and scooters. If you ever have any questions about one of our bikes or scooters, just contact one of our friendly and knowledgeable staff members toll-free at 877-300-8707 and let us know what you need.